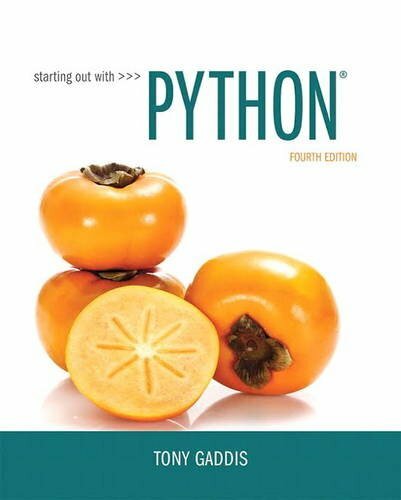 In Starting Out with Python®, 4th EditionTony Gaddis’ accessible coverage introduces students to the basics of programming in a high level language. Python, an easy-to-learn and increasingly popular object-oriented language, allows readers to become comfortable with the fundamentals of programming without the troublesome syntax that can be challenging for novices. With the knowledge acquired using Python, students gain confidence in their skills and learn to recognize the logic behind developing high-quality programs. Starting Out with Python discusses control structures, functions, arrays, and pointers before objects and classes. As with all Gaddis texts, clear and easy-to-read code listings, concise and practical real-world examples, focused explanations, and an abundance of exercises appear in every chapter. Updates to the 4th Edition include revised, improved problems throughout, and new Turtle Graphics sections that provide flexibility as assignable, optional material.